Mutton Sukha or Mutton Dry is a dish that you can’t get enough of! Delectable, and spicy, Mum would make Mutton Sukha quite often. The various flavors are a treat you can’t resist! 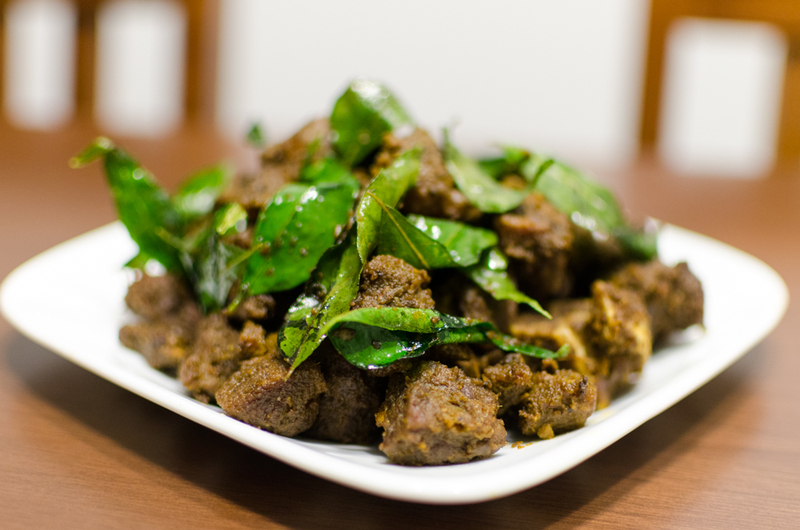 Adding curry leaves gives a different flavour to the mutton. There is green chili, red chili and pepper added to this dish . The spicier the better.